Women's Trade Union League in the U.S.A. In 1902 William Walling, a member of the American Socialist Partyand former resident of the Hull House Settlement in Chicago, visited England where he met Mary MacArthur, head of Women's Protective and Provident League (WPPL). In November, 1903, Walling attended the American Federation of Labour (AFL) annual convention in Boston. Samuel Gompers introduced Walling to Mary Kenny O'Sullivan, who told her about Britain's Women's Protective and Provident League. Walling invited her to Hull House where she met other women interested in trade unionism. This included Jane Addams, Mary McDowell, Alice Hamilton, Florence Kelley and Sophonisba Breckinridge. Margaret Robins, Margie Jones, Agnes Nestor and Helen Marot. Together the group established the Women's Trade Union League. 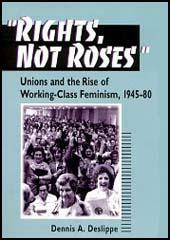 The main objective of the organization was to educate women about the advantages of trade union membership. It also support women's demands for better working conditions and helped to raise awareness about the exploitation of women workers. The Women's Trade Union League received support from the American Federation of Labour and attracted women concerned with women's suffrage as well as industrial workers wanting to improve their pay and conditions. Early members included Jane Addams, Lillian Wald, Margaret Robins, Leonora O'Reilly, Ida Rauh, Mary McDowell, Margaret Haley, Helen Marot, Mary Ritter Beard, Rose Schneiderman, Alice Hamilton, Agnes Nestor, Eleanor Roosevelt, Florence Kelley and Sophonisba Breckinridge. Let us put ourselves in the position of the striking men who have fallen upon workmen who have taken their places. The strikers have for years belonged to an organization devoted to securing better wages and a higher standard of living, not only for themselves, but for all men in their trade. They honestly believe, whether they are right or wrong, that their position is exactly the same which a nation, in time of war, takes towards a traitor who has deserted his country's camp for the enemy. We regard the treatment accorded to the deserter with much less horror than the same treatment when it is accorded to the 'scab', largely because in one instance we are citizens are participants, and in the other we allow ourselves to stand aside. How would you like to iron a shirt a minute? Think of standing at a mangle just above the washroom with the hot steam pouring up through the floor for 10, 12, 14 and sometimes 17 hours a day! Sometimes the floors are made of cement and then it seems as though one were standing on hot coals, and the workers are dripping with perspiration. They are breathing air laden with particles of soda, ammonia, and other chemicals! The Laundry Workers Union in one city reduced this long day to 9 hours, and has increased the wages 50 percent. William English Walling - a longtime friend - came to the Boston convention full of enthusiasm for a league of women workers. Mary Kenny O'Sullivan's quick mind caught the possibilities of the suggestion. When they submitted to me a proposal, I gave it most hearty approval and participated in the necessary conferences. Under the leadership of Jane Addams and Mary McDowell, the movement became of national importance. In more recent years, Mrs. Raymond Robins, as president of the league, exercised good influence in promoting the organization of women workers into trade unions.